Aspects of Play – Game Proposal..
For our aspects of play module one of our learning outcomes is to plan and create a fragment of a game and to demonstrate appropriate game play within it. So this is my initial proposal I had..
Start each level in a build faze that lasts a certain amount of time. 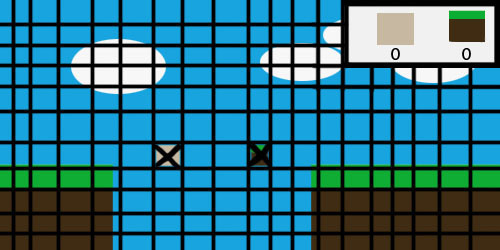 In build faze you will be given a certain amount of materials/objects/terrain to use within the grid and solve puzzles. Place them as you wish, won’t always be necessary to place all in your inventory. 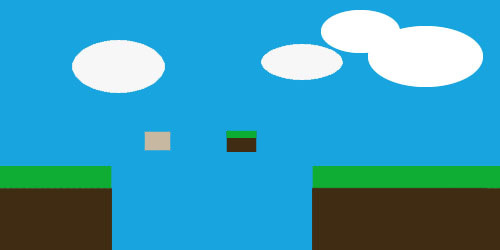 Once placed the level will begin as a normal platformer. There will be lots of different building materials/objects/terrain that can be used in different situations to complete the level. After speaking with Paul about it the game was accepted but a few aspects of the game where tweaked the main change is that the build faze has been removed to just let the player build when they want to, I think this is better because it gives the player more control over what they can do. and this is the rough write up of the proposal..